This sporty-luxe hooded parka, featured in the Cruise 2019 presentation, is made in the collection’s icy palette that’s meant to bring light to the darkest days of the year. The coat has a three-in-one construction. Its shell is crafted from mid-weight technical cotton with a spacious cut which can be worn with or without the second layer. 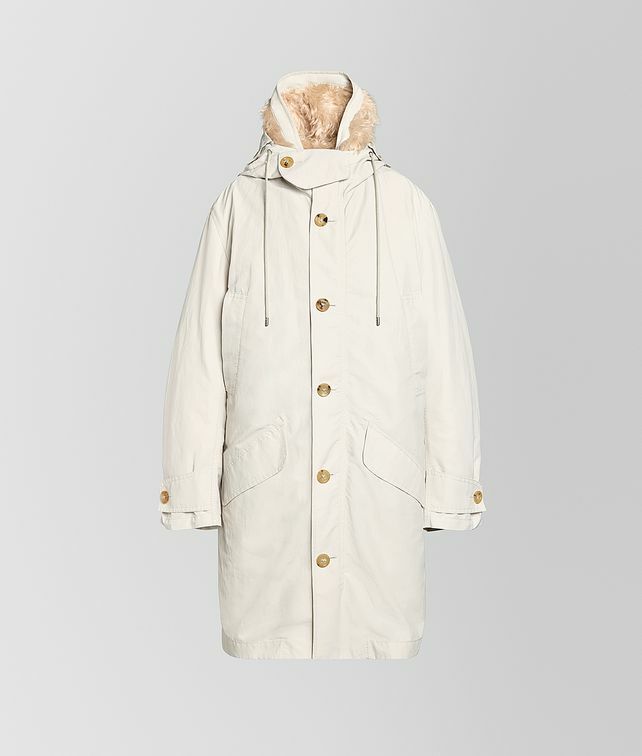 The removable second layer, made of quilted cotton lined with soft mohair fur, can also be worn separately. Finished with pockets at the waist.